This information affirmed by the General Director of Power Machines Open JSC (Russia) at a working meeting with the Minister of Industry and Trade Vu Huy Hoang in Hanoi on August 3. 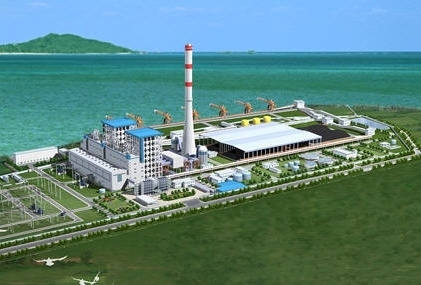 In the report on the rate of progress of developing Long Phu 1 Thermal Power Project (TPP), Mr. Phillipov Roman, General Director of Power Machines Open JSC said, the Long Phu 1 project has an very important meaning for Power Machines Company, in particular, and Russian Federation government, in general. According to Mr. Phillipov Roman, from the official contract signing date (27/12/2014), Power Machines has closely cooperated with PetroVietnam Technical and Services Corporation (PTSC) to carry out the works exactly pursuant to the rate of progress agreed by the two sides, in order to put unit No.1 in commercial operation by the end of 2018 and unit No.2 in early 2019. Currently, the Power Machines – PTSC Consortium has signed the contracts for the general design and construction drawings with Kulijain (US) subcontractor, for providing boiler and auxiliary equipment with TKZ (Russia) subcontractor and for providing turbines and generators with General Electric (US) subcontractor. Minister Vu Huy Hoang evaluated Long Phu 1 TPP as a largest project between Vietnam and the Russian Federation, and interested very much by Vietnamese government. This project is in the list of the projects for investment priority of Vietnam -Russia high-level Working Group and one of the urgent power projects of Vietnamese government in 2014 - 2020 period. Minister Vu Huy Hoang suggested Power Machines to focus resources for implementing Long Phu 1 project for a good reason to demonstrate its ability to participate in other power projects Vietnamese government calls for investment. Long Phu 1 TPP with a 1200 (2x600) MW capacity invested by the Petrovietnam is located at Long Phu Power Centre that will consist of 3 TPPs with a total capacity up to 4400 MW, in Long Duc commune, Long Phu district, Soc Trang province. Total investment of Long Phu 1 TPP is VND 29,580,934 billion, of which, 70% is credit arranged by BTG Holdings and 30% is counterpart capital of the PVN investor. Long Phu 1 TPP uses the traditional steam condensed power thermal technology, boilers of over critical steam parameter and imported coal. This technology is applied widely in the world due to high efficiency, reasonable costs and ensuring the environmental protection requirements in accordance with the domestic and international standards.